Reference: Farr, et al. Pulsed Electrical Stimulation in Patients with Osteoarthritis of the Knee: Follow Up in 288 Patients Who Have Failed Non-Operative Therapy. 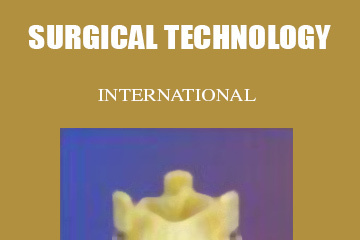 Surgical Technology International XV. September 2006; 228-233. A large-scale two-year Open Label, Phase IV Study with 58 centers and 288 patients demonstrated that many patients experienced dramatic improvement after using the BioniCare Knee Device for at least 750 hours or more. 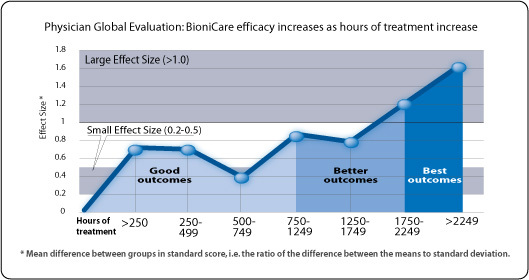 A significant dose response relationship was found between efficacy and hours of usage with the BioniCare Knee Device. No other OA treatment has shown a positive dose response. The best results were seen in patients who used the device for more than 1750 hours. Patients who used the device for more than 1,750 hours experienced clinical benefit comparable to that of a total knee replacement. The study also demonstrates a significant decrease or discontinuation in non-steroidal anti-inflammatory drug (NSAID) usage. NSAID usage decreased by 50% or more in 45.3% of patients using the BioniCare Knee Device. And 18.6% of patients were able to discontinue use of NSAIDs entirely. NSAID use decreases with BioniCare device. 750 hours is an important treatment milestone, best results come after 1,750 hours.